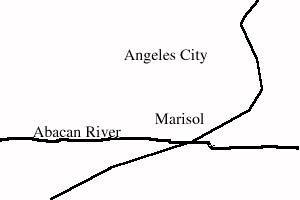 An excellent view looking south across the heart of Angeles City from over the Main Gate area. 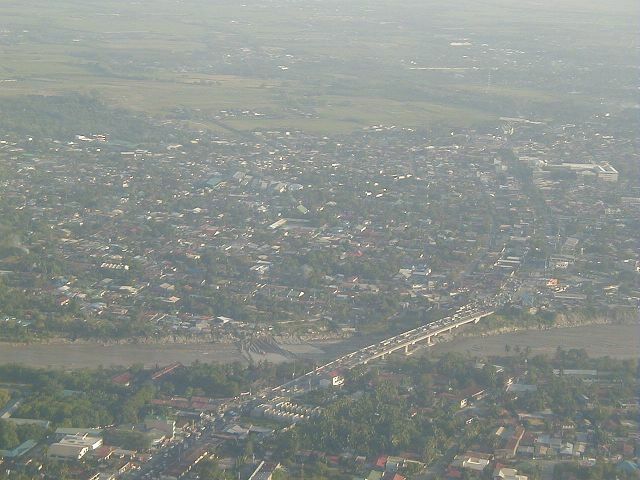 A congested bridge across the Abacan River is visible. Want to correct or clarify information about this photo? Send an E-mail to clarkairbase@clarkab.org. Mention you are referring to page "a55.htm".